Baked Potato Bar – February 23rd for PETs! The Mission Ministry Team is sponsoring a potato bar on Sunday, Feb. 23, following worship at the Pocahontas Center. There will be a freewill offering with proceeds going to support PET. What is PET? 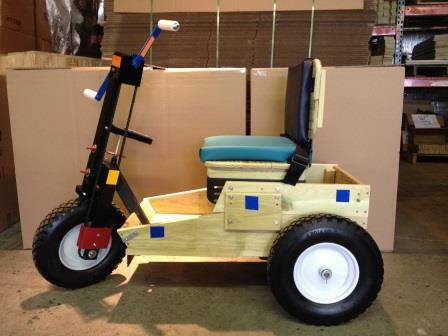 Let’s see how many PETs we can purchase to give the gift of mobility to a person in need. Thanks! Interested in joining a Lent Small Group Study? Starting this Sunday, Feb. 2nd, you will have the opportunity to indicate your interest to participate in this year’s Lenten study in a small group or indicate your interest to purchase the book and/or devotional book. Travel with Adam Hamilton as he retraces the life and ministry of Jesus Christ. Once again, Adam approaches his subject matter with thoughtfulness and wisdom, just like he did with Jesus’ birth in The Journey. 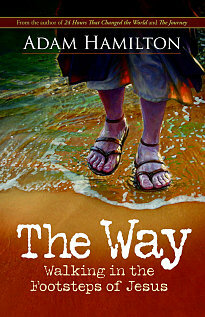 Read The Way on your own or, for a more in-depth study, enjoy it with a small group or part of a 40-day church wide emphasis during Lent. Using video, historical information, archaeological data, and stories of the faith, Adam follows in the footsteps of Jesus from his baptism to the temptation to the heart of his ministry, including the people he loved, the parables he taught and the healing he brought. Please pray about your participation in this Lent Small Group study and Worship opportunity March 9 thru April 13. You will be able to indicate your interest in using these materials during the first couple weeks in February so we can order the books and devotionals and have them here to use in March. You can either call the church office to order materials &/or sign up for a small group OR you can use the “CONTACT US” tab at the top. Let’s walk in the footsteps of Jesus together.